The Six Pocket Pant is made with a comfortable cotton poly blend to feel as good as they perform. Quality 7 ounce brushed twill and belt loops with an elastic waistband make for a great fit. 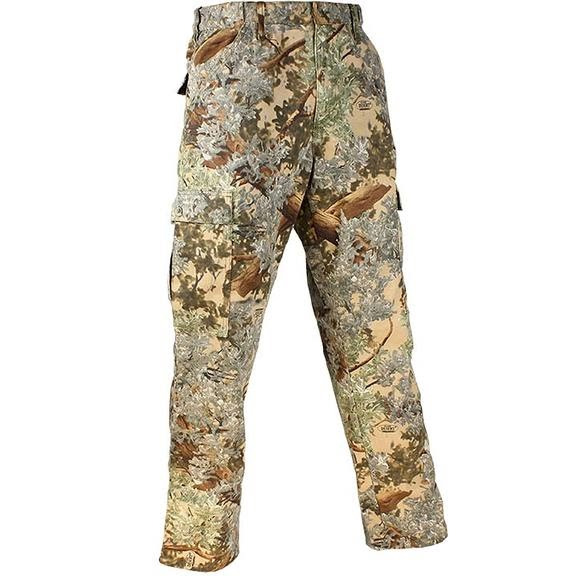 A reinforced seat and convenient cargo pockets bring quality and value together in one great King's Camo cargo pant. The Six Pocket Pant is made with a comfortable cotton poly blend to feel as good as they perform. Quality 7 ounce brushed twill and belt loops with an elastic waistband make for a great fit. A reinforced seat and convenient cargo pockets bring quality and value together in one great King&apos;s Camo cargo pant. King&apos;s Desert Shadow features total transition from light to dark along with realistic detail in color and shadows to provide ultimate depth and clarity to blend in with the open and arid surroundings. Our flagship pattern released in 2002 revolutionized the camouflage industry and changed the way people thought about colors, depth and design. Desert Shadow provides a broad depth of appeal both in the field and on the shelf. King&apos;s Mountain Shadow provides complete breakup from light to dark with realistic detail in color and shadows to provide the appearance of depth in thick forests to transitional open terrain. We set out to develop a pattern that would allow tremendous versatility going from dark to light conditions and terrain. Mountain Shadow achieves this goal in stunning detail through our choice and depth of colors and breakup.